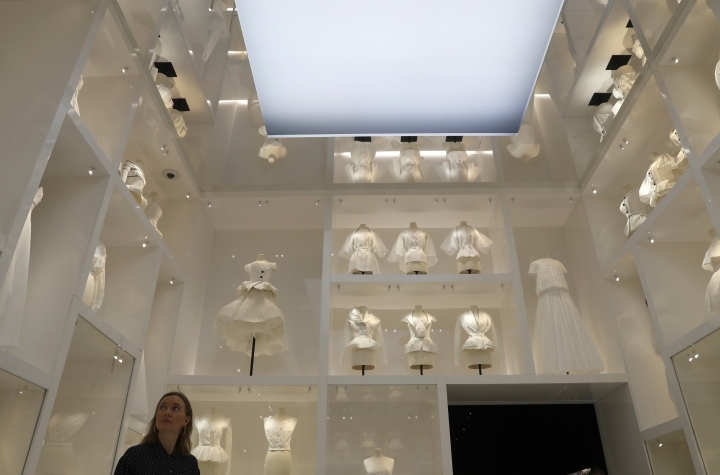 LONDON — After the smashing success of its Alexander McQueen show, London's V&A Museum is looking to draw big crowds with another major fashion exhibition — this time focusing on Christian Dior. 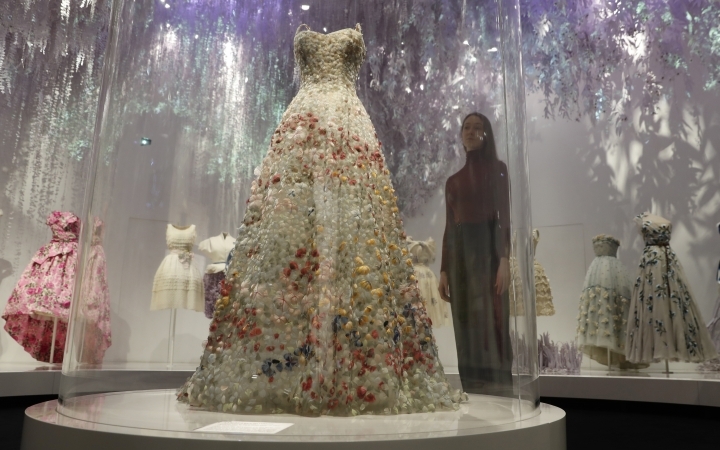 Billed as the largest and most comprehensive museum display ever staged in Britain on the revered French fashion house, the V&A exhibit traces the influence of Dior over seven decades and showcases dozens of spectacular couture gowns. 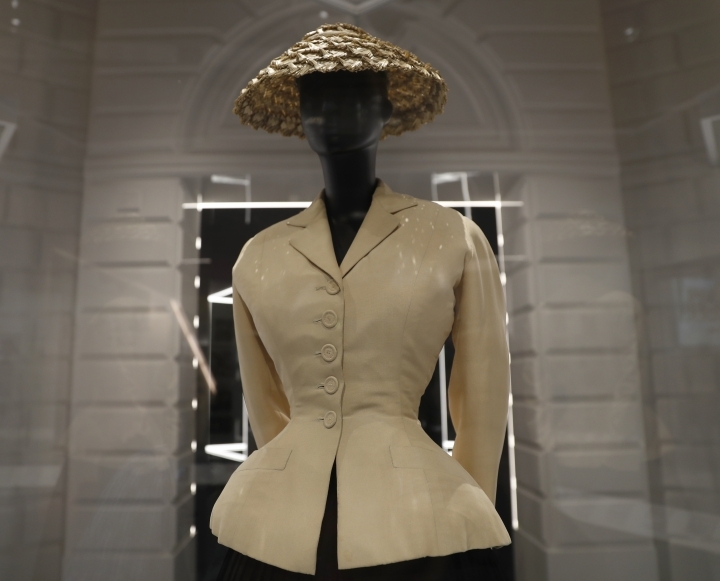 First to greet visitors at the exhibit, which opens Saturday, is a sculpted cream-and-black jacket and skirt outfit from 1947 that features a dramatically nipped-in 19-inch waist offset with full, pleated skirts. 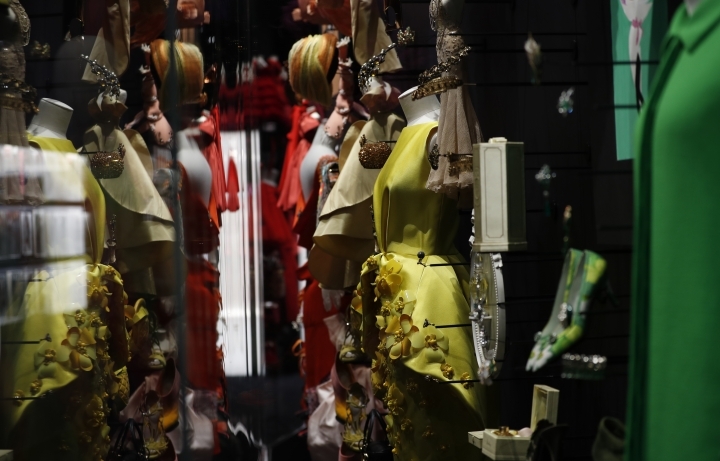 The romantic, exaggerated hourglass silhouette is now recognized as Dior's famous "New Look," a redefinition of the feminine shape that defied the boxy styles of the postwar years and immediately made its mark in fashion history. 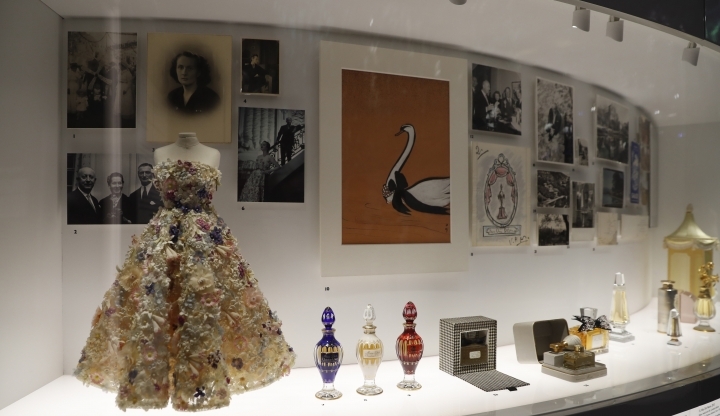 "The influence of Christian Dior's innovative and experimental design was all-pervasive and helped to define an era," curator Oriole Cullen said. 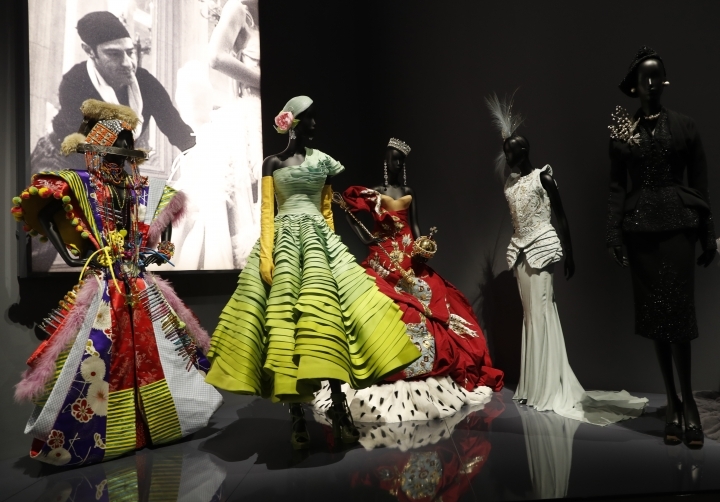 There's much here to dazzle, especially in the exhibition finale, "The Ballroom," which celebrates the designer's love for extravagant evening wear with aplomb. 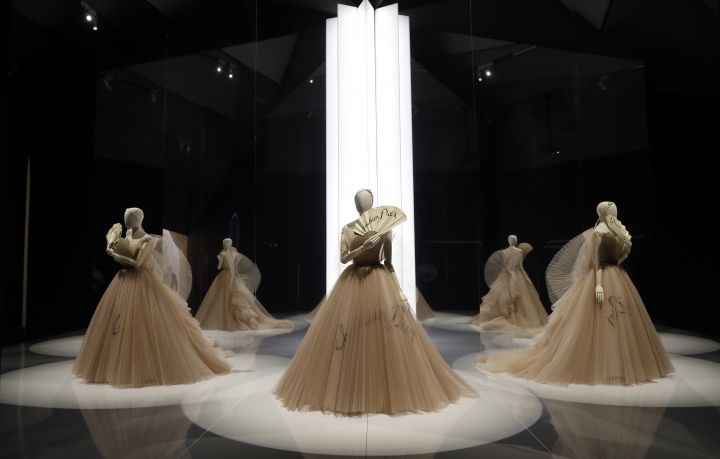 Dozens of handmade gowns in sumptuous silks, feathers and crystals are displayed in a mirrored room with lighting that simulates sparkling constellations and showers of gold dust. 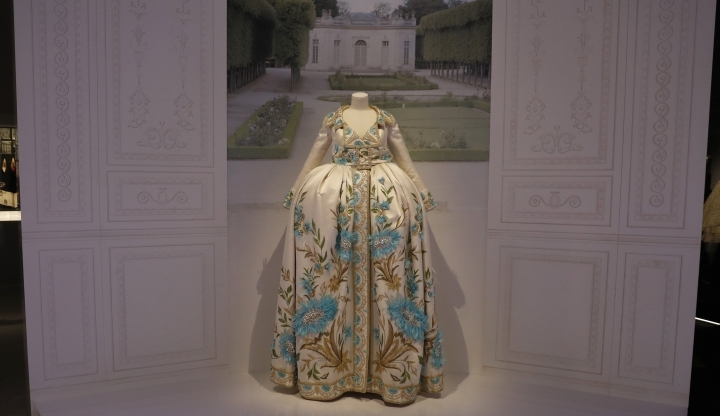 "A ballgown is your dream, and it must make you a dream," Dior, a fan of lavish 18th-century court dress, once said. 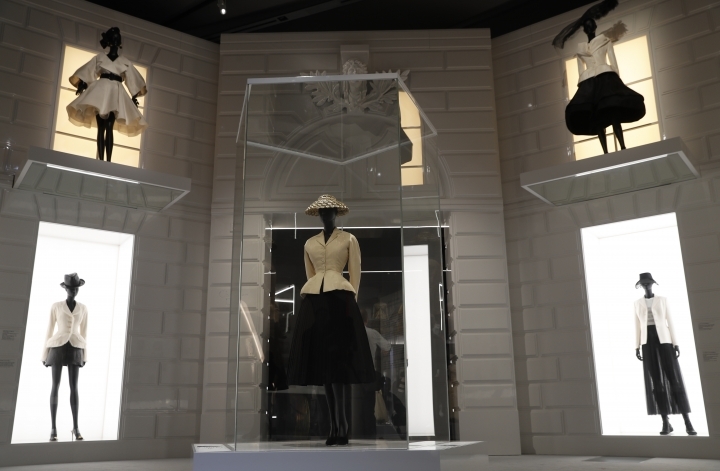 The exhibition is based on a 2017 Dior show in Paris, but was expanded with a section devoted to Dior's fascination with British royalty and aristocracy. 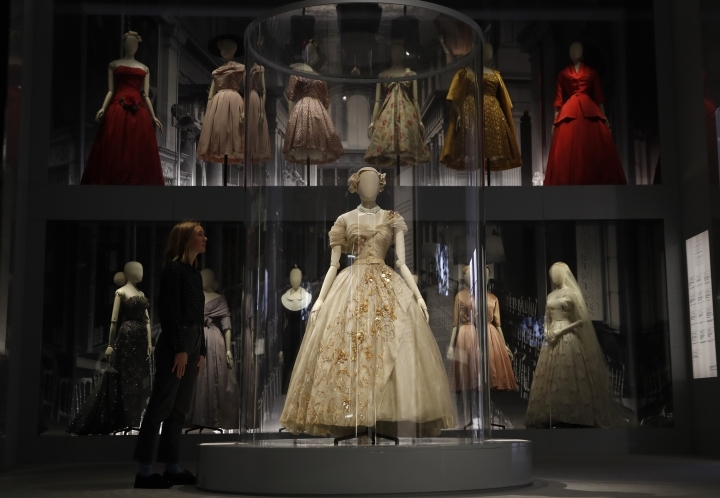 Among the highlights: a voluminous tulle gown designed for Princess Margaret for her 21st birthday celebrations in 1951 and which she wore for her official birthday portrait. 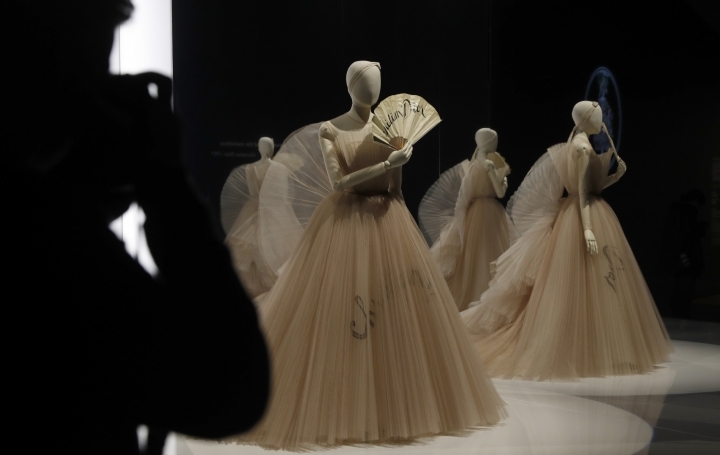 The stylish royal remained a Dior client for many years. 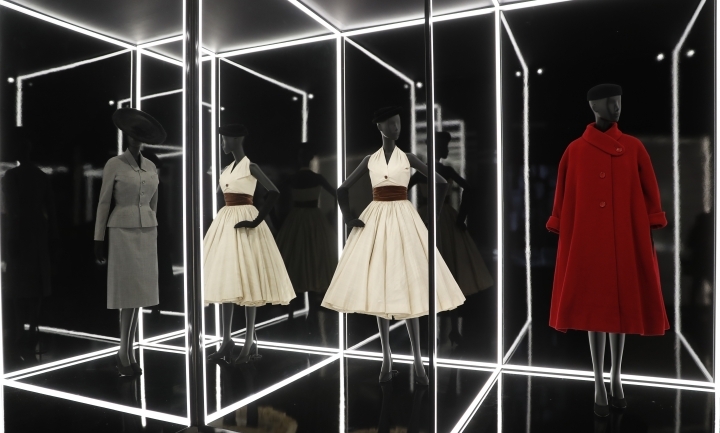 The designer died in 1957. 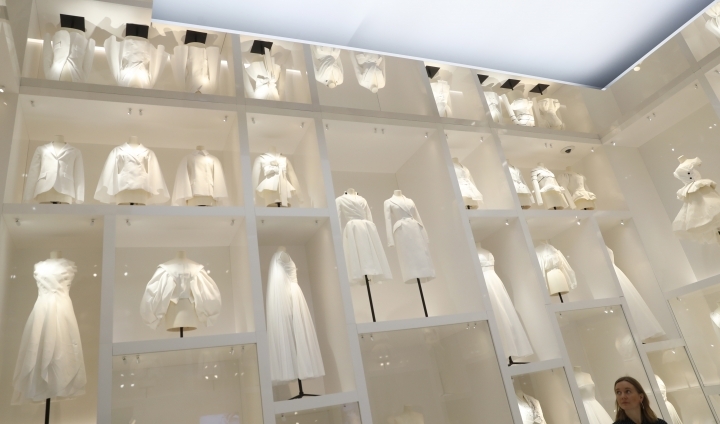 Visitors get to see over 500 objects, including over 200 couture garments, and follow the House of Dior as it evolved under various artistic directors, from the wildly eccentric designs of John Galliano to the feminist vision of present-day director Maria Grazia Chiuri, the first woman to helm the brand. 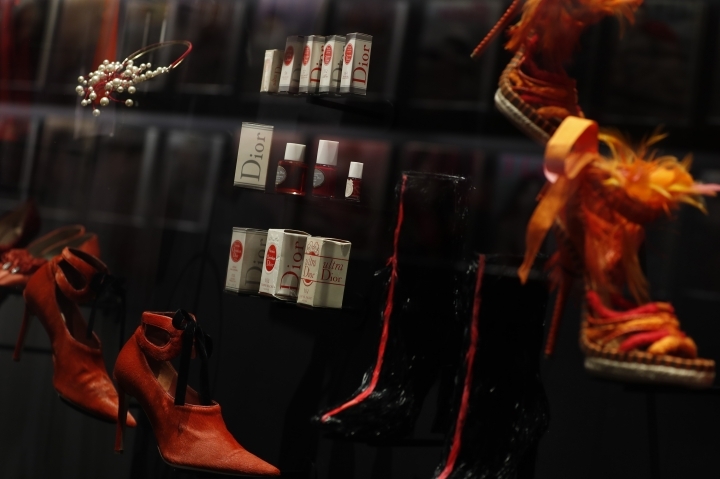 Cullen, the curator, mused about Christian Dior's unlikely beginnings in fashion as the son of a man in the fertilizer business. 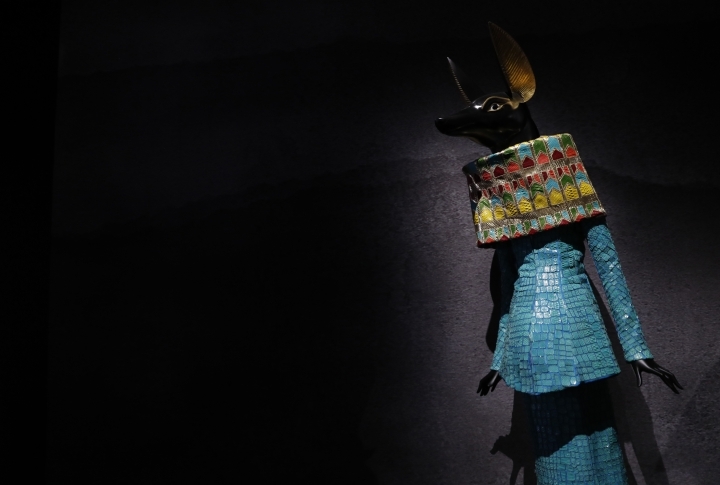 His parents didn't want him to be in trade, and had aspirations for him to train as a diplomat — but it wasn't to be. 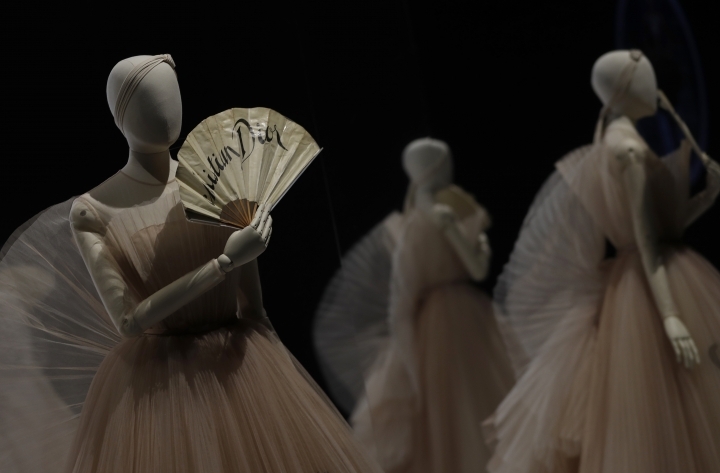 "There he was in his 30s with no money, no profession and needing to train again. 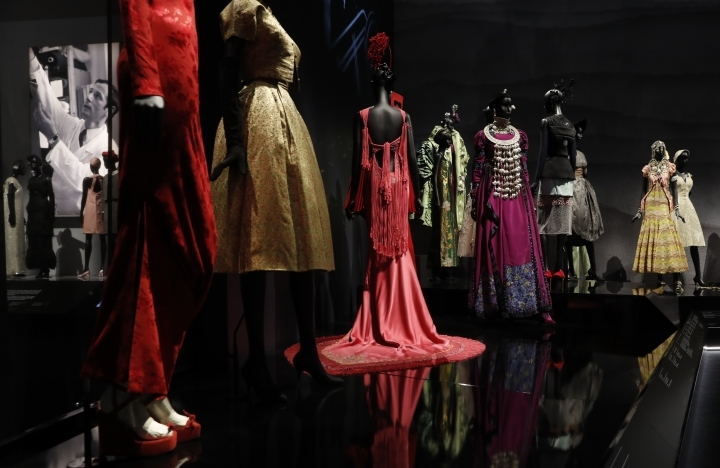 It's really interesting how he decided to become a fashion illustrator — and that's how he came to fashion," she said. 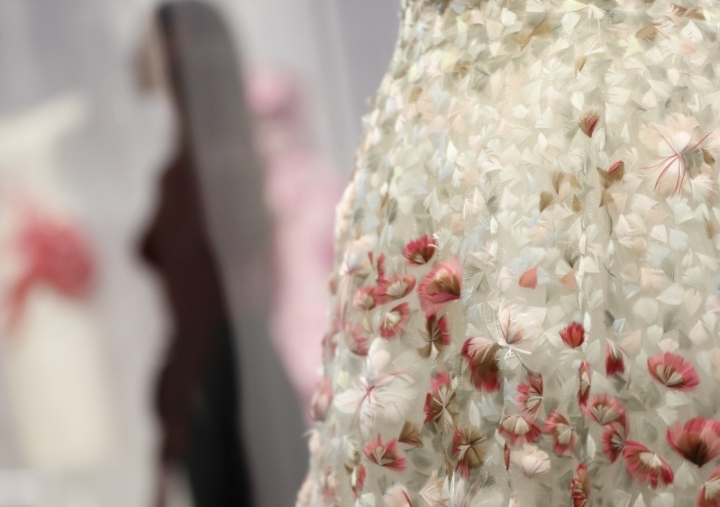 "Christian Dior: Designer of Dreams" opens to the public Saturday and runs until July 14.